Separate prawns from heads. Cut away whiskers and remove shells from both body and heads. Devein prawns and rinse gently. Blanch prawns in water, then transfer to ice water to stop cooking process. Rinse Arugula and place them on serving plate. Top with parma ham and goma dressing. Drain prawns when they turn cold, and mix well with mayonnaise and wasabi. Coat prawn heads with flour, salt and pepper. Heat oil and deep fry till crispy. 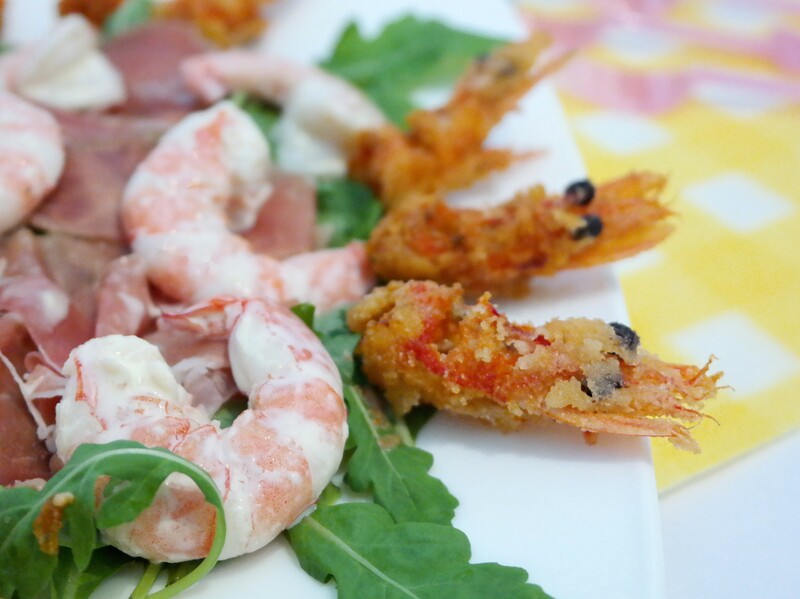 Drain and transfer to the Wild Rocket Salad with Parma Ham and Wasabi Prawns. See how crispy these prawn heads are!